There's nothing like color to brightening up your day. There are times that I feel gloomy and prefer just wear a t-shirt and sweat, but today I chose to add a little femininity to that. 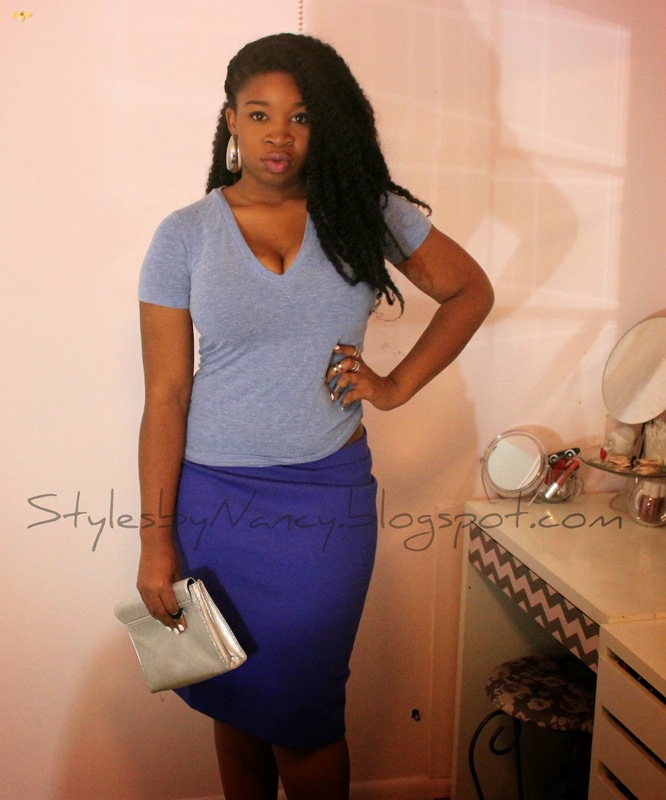 The t-shirt and skirt are both from Target (Mossimo). 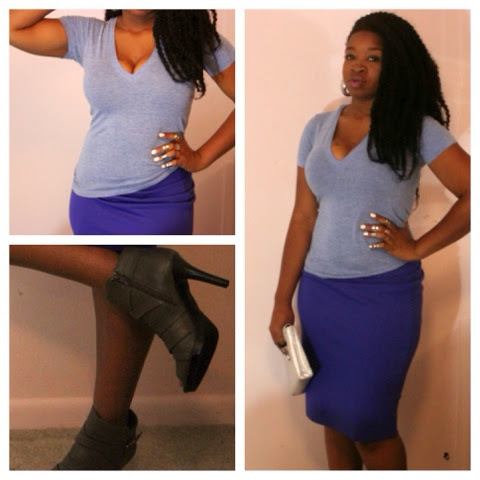 The skirt is a stretchy cotton material that feels just like sweats, but look a little better. I also chose to pair this with a neutral booties that I purchased at a Payless clearance sale. The clutch was a purchase from a lovely friend, and the silver rings and earrings both came from H&M. What's your "go to" look when your feeling down and out?